The Jordan Brand will celebrate MJ's days on the diamond this year with a Birmingham Barons inspired Air Jordan 9 Retro. Worn by MJ in cleated form in a simple black/white color scheme, the Air Jordan 9 Retro arrives in a Birmingham Barons inspired color combination of black, white and grey. 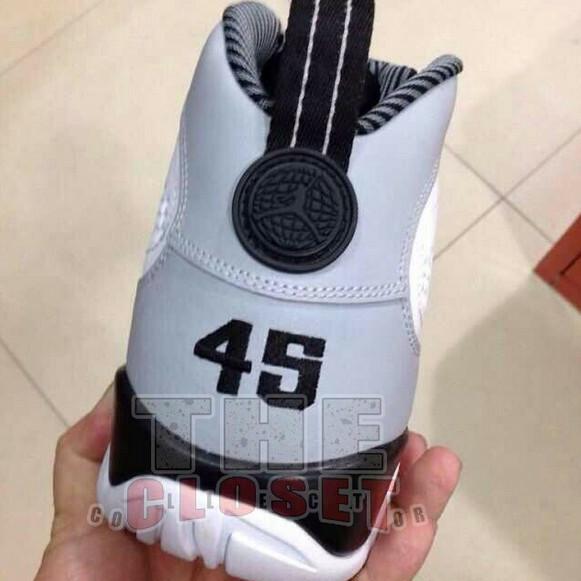 The Barons theme is further with MJ's number 45 stitched into the heel of each shoe. Stay tuned to Sole Collector for further details on the 'Birmingham Barons' Air Jordan 9 Retro.